By: Gabriela Hirschler on February 4, 2016. Over-the-counter whitening strips are an amazing invention. All it takes is thirty minutes a day for a couple of weeks in order to reverse all the discoloration that has happened to your teeth. The best part? If you don’t have thirty minutes to spare sitting around with strips around your teeth doing nothing else, hop in the shower while you wear them! Two birds, one stone. There are plenty of things you can do while wearing the strips that don’t require talking for half an hour. Plus, it’s a great excuse to ignore people who you don’t want to chat with! Coconut oil has recently become a huge trend, thanks to its many uses. One of them just so happens to be whitening teeth. Oil pulling, or swishing a tablespoon of coconut oil in your mouth on an empty stomach for about 20 minutes, is an ancient dental technique. Before brushing your teeth when you wake up, just grab a tablespoon of the oil! It’s quick and painless and instantly helps give you the pearly whites you desire. After eating or drinking anything that could potentially stain teeth (COFFEE!) make sure to swish mouthwash or even water to prevent staining. You could even grab a pack of whitening gum that has stain-removing properties and have a piece after your meals. However, any gum will do the trick! Brushing your teeth in the morning and at night with whitening toothpaste also helps in addition to using mouthwash and gum right after you eat. Raw fruits and vegetables, while being a great healthy option, produce saliva which in turn removes bacteria from your mouth, leading to whiter teeth. Apples, pears, carrots, and celery are perfect to munch on! So if you’re hungry for a quick snack, just grab one of those. This is definitely my favorite solution to having a whiter smile fast. Not only does it solve the problem of visibly stained teeth, but it is also a great way to liven up your look! Lipsticks with blue undertones such as rose, red, burgundy, and plum shades make your teeth look instantly brighter. 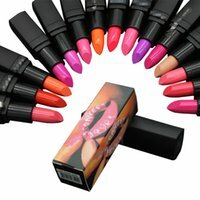 These are especially perfect to make your lips pop without being too bright during the winter season. However, make sure to avoid lipsticks with orange undertones because as pretty as they are, they can make even the whitest teeth look yellow. With these five easy tips, you can obtain your ideal pearly white teeth and be able to worry less and smile more!